I did make it to the gym today. When I got there, I realized I’d forgotten my lock so I had to stuff my coat inside my bag and keep my belongings next to the machine as I pedaled away. Any other time and I might have just said, maybe it’s a sign that I shouldn’t stay. But I want to honor my commitment to this plan. Besides, day 2 is too soon to be having these kinds of thoughts. 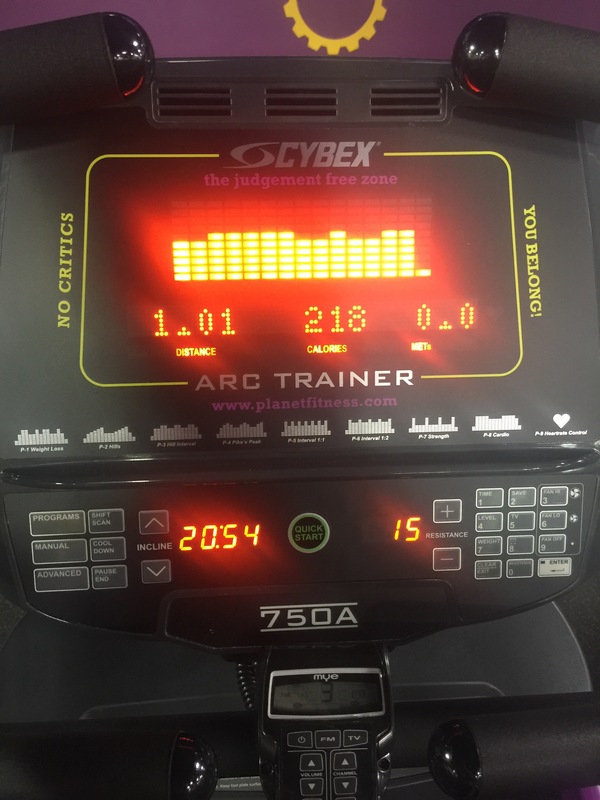 So here is the proof – 20 minutes spent on the arc trainer as well as I did some of the exercises on this pin my friend sent me last night. And the egg scramble I made after the workout was yummy. And that was Day 2 of me justifying my gym membership. I hope to be back for Day 3 tomorrow. Yes! Thanks so much for the encouragement, Melanie! This made me consider during Lent doing a 1min plank a day. We will see. Keep up the good work ! You got this! Thanks, T. I love doing the plank a day challenge too. I have never got past a certain time though.